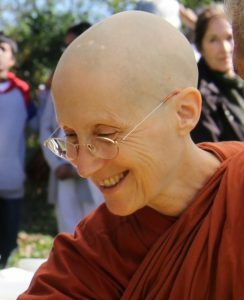 Ayyā Medhānandī is the founder and guiding teacher of Sati Saraniya Hermitage, a Theravada forest monastery for women. Venerable Khemako was born in Phoenix, Arizona in 1959 into a large Catholic family and received his primary education from priests and nuns at the local Church-run school. 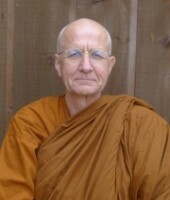 His long-standing interest in the core questions of philosophy and religion led him to begin lay Buddhist practice in 1997. 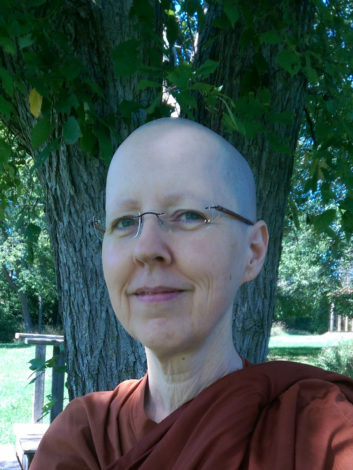 As his practice and faith in the Dhamma increased, his interest and involvement in lay life waned. Ven. 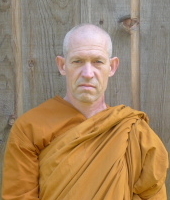 Khemako trained for two years as an Anāgārika and Sāmaṇera, ordaining as a Bhikkhu on June 2, 2012 with Ajahn Pasanno as preceptor. In June of 2014 Ven. Khemako moved to Tisarana. During the winter of 2016 – 2017, Venerable Khemako stayed at Arrow River Hermitage.